I particularly enjoy learning and then writing about innovative audio designers who are passionate about music and bring to our hobby new and invigorating design ideas that push the envelope of the audio arts by creating audio devices that both sound great and play music extremely well. Consider German audio innovator & craftsman Keith Aschenbrenner of Auditorium 23. His research into musical realism during the early history of the single-ended triode (SET) movement in France and Germany resulted in his introducing fellow German HiFi and music lovers to the musically irresistible combination of vinyl playback, SET amplification and high-sensitivity loudspeakers. Keith's name has become synonymous with the brilliant Platine Verdier turntables, the magnificent & historic Siemens Klangfilm loudspeakers, the Shindo Laboratories electronics as well as his own innovative designs of loudspeakers, step-up transformers for vinyl playback and loudspeaker cables. And let me tell you this: Keith isn't done yet. You can expect to hear more about Keith's works of art here at 6moons in the future. His lifetime of contributions to our hobby has deservedly bestowed upon him the status of audio cultural icon. His admirers call him the Tube Apostle of Germany for his trials, tribulations and ultimate success in bringing musical realism in HiFi to the music lovers of Germany. Then there is American audio artist/craftsman Don Garber and his now legendary 30, Watts Street store Fi that was once upon a time in Soho/Manhattan. 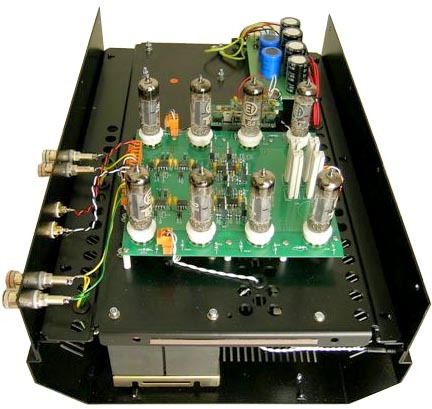 It would become the spark that started a fire that would burn through the American audio landscape in the form of a single-ended triode amplifier revolution by offering the first American-made S.E.T. designs of builders such as Noriyasu Komuro, JC Morrison, Gordon Rankin and Herb Reichert. 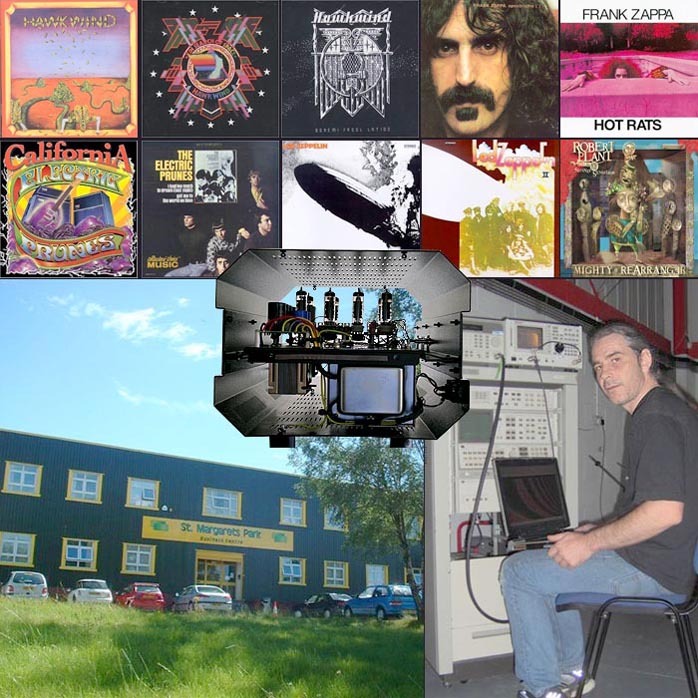 Don's own unique & innovative ideas about what sounded good & played music well manifested in his Fi creations such as the Fi 2A3 mono amplifiers and the Yph phono stage that became legendary in the American audio underground and which I've had the privilege of writing about for our readership. Also consider Japanese audio genius Junji Kimura of 47 Laboratory whose innovative amplification designs utilizing simple & short circuits based on operational amplifiers (op-amps for short) started a whole new audio movement. They captured enthusiasts' imaginations with simplicity, reliability, superb sound and remarkable music-playing ability. Junji-San's designs are a milestone in audio design that is as important as the single-ended triode revolution. Junji is an original audio artist/innovator with op-amps and responsible for the emerging audio minimalist movement that employs his principles of simplicity and short signal paths in amplifier designs using op-amps for output devices. There's another innovator who has recently emerged to become recognized for his unique and innovative contributions: Englishman Tom Evans. At this very moment, I have in my home the full complement of Tom's top of the line Tom Evans Audio Design equipment: The Groove Plus phono stage; the Vibe preamplifier with optional Pulse power supply; and the Linear A power amplifier, the subject of this review. Each one of these products is unique in concept & design compared to anything else I am aware of. These Tom Evans designs are the real deal. They are true originals. 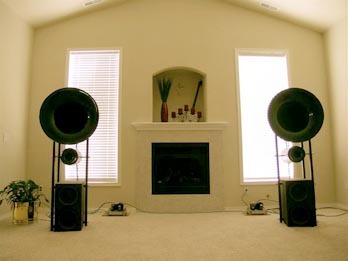 Not only that, when used in combination to drive my Avantgarde Duos, they represent the most startling advancement in the reproduction of music that I have ever experienced in my home. When such a big improvement occurs, it begs the question of whether this is just a case of synergy between the components in my reviewing system (plus a healthy dose of matching up with my personal musical & HiFi tastes), or whether this dramatic difference is some sort of baseline advancement in the state-of-art. While I suspect the latter, I suppose that ultimate judgment is something that only can be decided over time by peer review consensus and in a variety of system contexts - but consider me unduly impressed. Importantly, the change wrought by the suite of Tom Evans equipment is not merely an advancement in sound quality -- though it is surely that -- but it also represents the most significant advancement in the reproduction of musical realism that I have encountered short of sitting in with a band. Or in the words of my friend -- TAS reviewer & fellow moonie Stephæn Harrell [system below with full complement of TEAD gear] -- after hearing the full suite of Tom Evans equipment in his own system: "This isn't just HiFi; this is stupe-Fi-ing!" As we both were in our respective systems, you'll most likely be stunned too when you hear the whole Tom Evans stack of gear playing the tunes. I wish I could tell you that Tom's top-of-the-line equipment is affordably priced to be accessible to the audio everyman who wants to employ the sensible & commendable concept of realsizing to the HiFi hobby - but it's not. The combination of Groove Plus phono stage ($7000), Vibe Preamplifier ($4600), Pulse power supply ($4000) and Linear A amplifier ($8500) is expensive. Unlike many expensive audio products, the Tom Evans gear is so good that I believe it to actually be worth its asking price - and then some. Tom Evans Audio Design equipment is not yet particularly well known in the USA but if what I'm experiencing is any indication, that's about to change, due to the efforts of new US importer Ed Sheftel. Before I segue into the Tom Evans story, let me take a moment to tell you about Ed Sheftel, Tom's US distributor. Ed is a Northwestern University & Yale educated musician with a long and distinguished career as a professional musician. Ed is a trumpet player with the distinction of being befriended & mentored as a youngster by none other than Louis Armstrong. As Ed grew in years and stature as a musician, he and his Ed Sheftel Quartet were voted winners in the prestigious Notre Dame Collegiate Jazz Festival for the "best small group" and "best trumpet" categories while in his senior year at Northwestern University, he was praised by such notable judges as Quincy Jones and Billy Taylor. Ed's successes led him to Yale University where he graduated with a Masters in music at which time he moved to Los Angeles. There Ed landed the lead trumpet chair in the Los Angeles production of the controversial and wildly popular rock musical Hair, which set records at the time as the longest running musical in Los Angeles history. Ed went on to perform in the equally popular rock operas Tommy and Jesus Christ Superstar. Ed has played trumpet as a studio musician for television, movies, recordings and musical theatrical gigs in Los Angeles for now over 25 years. Ed is also that rare world-class musician who became interested in HiFi. When Ed heard the Tom Evans HiFi gear, he thought it portrayed music in the most realistic way he had ever encountered and in a way that he thought no other equipment could match. "Once I heard the realism of Tom's products and experienced the excitement and passion they were capable of, that was it! I was supremely hooked!" Ed wanted to become the US distributor after that first listen and the rest is history. When he took over, he decided to lower all US retail pricing by 10 to 14% while all the European companies were raising their US prices by at least 20% to compensate for the decreasing value of the dollar in the world markets. In spite of this ongoing exchange rate slide, Ed did everything he could to offer Tom's designs to the US market at the lowest possible price. And while TEAD gear is still not inexpensive, Ed opined that "the idea was to go contrary to the High End flow and make these superb audio products as affordable as possible." I don't know about you but I like that attitude!